1. Griffin JW, Frank RM, Lee S, Sumner S, Leroux T, Verma NN, Cole BJ, Nicholson GP, Romeo AA. Shoulder Arthroplasty Outcomes After Prior Non-Arthroplasty Shoulder Surgery. 2. Griffin JW, Leroux TS, Romeo AA, Nicholson GP. Instability Following Reverse Total Shoulder Arthroplasty: Evaluation and Management. Journal of the American Academy of Orthopaedic Surgeons. Accepted. 7. Burrus MT1, Werner BC, Griffin JW, Gwathmey FW, Miller MD. Diagnostic and Management Strategies for Multiligament Knee Injuries: A Critical Analysis Review. Journal of Bone and Joint Surgery Reviews. 2016 Feb 2;4(2). pii: 01874474-201602000-00001. doi: 10.2106/JBJS.RVW.O.00020. 8. Mahkni E, Hamamoto, JT, Higgins, JD, Patterson T, Griffin, JW, Romeo, AA, Verma, NN. 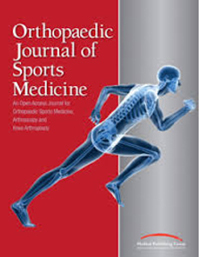 Orthopaedic Journal of Sports Medicine. Accepted. 10. Leroux TS, Basques B, Frank RM, Griffin JW, Nicholson GP, Cole BJ, Romeo AA, Verma NN. Outpatient Total Shoulder Arthroplasty: A Population-Based Study Comparing Adverse Event and Readmission Rates to Inpatient Total Shoulder Arthroplasty. Journal of Shoulder and Elbow Surgery. 2016 Jun 6. pii: S1058-2746(16)30059-3. doi: 10.1016/j.jse.2016.04.006. 11. Griffin JW, Leroux TS, Romeo AA. Management of Proximal Biceps Injuries in Overhead Athletes: What is the Role of Biceps Tenodesis? 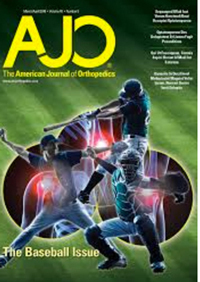 American Journal of Orthopaedics. In Press. 13. Griffin JW, Weber AE, Kuhns BD, Lewis PB, Nho SJ. Imaging in Femoroacetabular Impingement. Clinics in Sports Medicine. 2016 Jul;35(3):331-44. doi: 10.1016/j.csm.2016.02.002. Epub 2016 Apr 9. 14. Kandil R, Griffin JW, Browne JA, Brockmeier SF. Blood Transfusion After Total Shoulder Arthroplasty: Which Patients are At High-Risk. International Journal of Shoulder Surgery. 2016 Apr-Jun;10(2):72-7. doi: 10.4103/0973-6042.180719. 16. Werner BC, Cancienne JC, Griffin JW, Burrus MT, Brockmeier SF, Gwathmey FW. The Timing of Elective Shoulder Surgery after Intra-articular Shoulder Injection Affects Postoperative Infection Risk. Journal of Shoulder and Elbow Surgery. Accepted. 18. Griffin JW, Hadeed MM, Werner BC, Hart J, Carson EW, Diduch D, Miller MD. Platelet-Rich Plasma in Meniscal Repair: Does Augmentation Improve Clinical Outcomes. Clinical Orthopaedics and Related Research. In Biologics and Tissue Engineering Symposium. Bedi A and Dines J Eds. May;473(5):1665-72. doi: 10.1007/s11999-015-4170-8. 22. Griffin JW, Hadeed MM, Novicoff WM, Browne, JA, Brockmeier, SF. Patient Age is a Factor in Early Outcomes Following Shoulder Arthroplasty. Journal of Shoulder and Elbow Surgery. 2014 Dec;23(12):1867-71. doi: 10.1016/j.jse.2014.04.004. 27. Griffin JW, Brockmeier SF. Shoulder instability with concomitant bone loss in the athlete. In Shoulder Instability in the Athlete. Ed. Stephen Thompson. Clinics in Sports Medicine. 2013 October; Vol. 32, Issue 4, Pages 741-760, DOI: 10.1016/j.csm.2013.07. 29. Griffin JW, Novicoff, WM, Browne, JA, Brockmeier, SF. Obstructive Sleep Apnea as a Risk Factor After Shoulder Arthroplasty. Journal of Shoulder and Elbow Surgery. 2013 Sept 14. doi:pii: S1058-2746(13)00280-2. 10.1016/j.jse.2013.06.003. 30. Griffin JW, Hogan MV, Chhabra AB, Deal ND. Peripheral Nerve Repair or Reconstruction. Journal of Bone and Joint Surgery-Am. 2013 Dec 4; 95(23): 2144-51. Doi: 10.2106/JBJS.L.00704. 31. Griffin JW, Miller MD. MRI of the Knee with Arthroscopic Correlation. Clinics in Sports Medicine. 2013 May; DOI 10.1016/j.csm.2013.03.004. 32. Griffin JW, Redick J, Guillot S, Browne JA. Removed Antibiotic-Impregnated Cement Spacers in Two-Stage Revision Joint Arthroplasty Do Not Show Biofilm Formation In Vivo. Journal of Arthroplasty. 2012 Dec;27(10):1796-9. Doi: 10.1016/j.arth.2012.06.019. 33. Deal ND, Griffin JW, Hogan MV. Nerve Conduits for Repair or Reconstruction. Journal of the American Academy of Orthopaedic Surgeons. 2012 Feb; 20(2):63-8. Doi: 10.5435/JAAOS-20-02-063. 34. Yang S, Jones-Quaidoo SM, Eager M, Griffin JW, Reddi V, Novicoff W, Shilt J, Bersusky E, Defino H, Ouellet J, Arlet, V. Right Adolescent Idiopathic Thoracic Curve (Lenke 1A and B): Does Cost of Instrumentation and Implant Density Improve Radiographic and Cosmetic Parameters? European Spine Journal. 2011 Jul; 20(7): 1039-47. Epub 2011 Apr 26. Doi: 10.1007/s0058-011-1808-4. 35. Bindra, RR, Shah, S, Griffin, JW. Irreducible Dislocation of the Thumb Interphalangeal Joint with Digital Nerve Interposition. Journal of Hand Surgery-Am. 2010 Mar;35(3):422-4. Doi: 10.1016/j.jhsa.2009.11.017. 37. Management of Proximal Biceps Pathology in Overhead Athletes: What Is the Role of Biceps Tenodesis? <https://www.ncbi.nlm.nih.gov/pubmed/28235123> Griffin JW, Leroux TS, Romeo AA. Am J Orthop (Belle Mead NJ). 2017 Jan/Feb;46(1):E71-E78. Review. 1. Weber AE, Griffin JW, Cole BC. "Management of Large Chondral Defects in the Knee: Options and Decision-Making.” American Academy of Orthopaedic Surgery Annual Meeting. San Diego, CA 2017. Frank RM, Basques B, Leroux T, Griffin J, Thorsness R, Verma NN, Provencher MT, Romeo AA. Complications following anterior shoulder instability treatment: bankart repair versus latarjet. 2016 French Arthroscopy Society Annual Meeting. Paris, FRANCE. Nov 30-Dec 3, 2016. Frank RM, Lee S, Griffin JW, Cole BJ, Verma NN, Nicholson GP, Romeo AA. Does Prior Shoulder Surgery Negatively Impact Shoulder Arthroplasty Outcomes? AAOS 2017 Annual Meeting. March 15, 2017. San Diego, CA. Weber A, Griffin JW, Meyer M, Cole BJ. Do Outcomes Differ for Osteochondral Allografts (OCA) of the Knee for Osteochondritis Dissecans (OCD) Based on Patient Age. International Cartilage Research Society Podium Presentation. Accepted. Leroux TS, Basques B, Frank RM, Griffin JW, Nicholson GP, Cole BJ, Romeo AA, Verma NN. Outpatient Total Shoulder Arthroplasty: A Population-Based Study Comparing Adverse Event and Readmission Rates to Inpatient Total Shoulder Arthroplasty. American Shoulder and Elbow Surgeons Closed Meeting. Accepted. Griffin JW, Collins M, Thorsness R, Forsythe B, Verma N, Yanke A. Quantity of Bone Loss May Influence Glenoid Version Analysis in Shoulder Instability. Submitted to American Shoulder and Elbow Surgeons AAOS Specialty Day. Kandil R, Griffin JW, Novicoff WM, Brockmeier SF. Incidence and Risk Factors of Venous Thromboembolism after Total Shoulder Arthroplasty. Shoulder and Elbow Podium Presentation. American Academy of Orthopaedic Surgery (AAOS) Annual Meeting 2015. Las Vegas. Werner BC, Lyons M, Evans C, Griffin JW, Hart JM, Miller MD. Brockmeier, SF. Arthroscopic Suprapectoral and Open Subpectoral Biceps Tenodesis: A Comparison of Location, Restoration of Length-Tension, and Mechanical Strength Between Techniques. American Orthopaedic Society for Sports Medicine (AOSSM) Annual Meeting Poster Presentation 2014. Werner BC, Evans CL, Lyons ML, Griffin JW, Pettett BJ, Hart JM, Miller MD, Brockmeier SF. A clinically relevant anatomic and biomechanical comparison of open and arthroscopic biceps tenodesis. Poster Presentation. VOS 67th Annual Meeting, May 2-4, 2014, Roanoke, VA.
Werner BC, Griffin JW, Lyons M, Brockmeier, SF. Validation of an Innovative Measurement Method of Shoulder Range of Motion Using a Smartphone. American Academy of Orthopaedic Surgery (AAOS) Annual Meeting 2014. New Orleans. Griffin JW, Novicoff WM, Browne JA, Brockmeier SF. Obstructive Sleep Apnea as a Risk Factor After Total Shoulder Arthroplasty. Southern Orthopaedic Association (SOA) Annual Meeting Poster Presentation 2013. Palm Beach, FL. Griffin JW, Novicoff WM, Browne JA, Brockmeier SF. Obstructive Sleep Apnea as a Risk Factor After Total Shoulder Arthroplasty. American Orthopaedic Society for Sports Medicine (AOSSM) Annual Meeting Poster Presentation 2013. Chicago, IL. Werner BC, Griffin JW, Lyons M, Brockmeier SF. A Novel Method for Determination of Shoulder Range of Motion. American Orthopaedic Society for Sports Medicine (AOSSM) Poster Presentation 2013 Annual Meeting, Chicago, IL. Griffin JW, Guilloit S, Redick J, Browne JA. Removed Antibiotic-Impregnated Cement Spacers in Two-Stage Revision Joint Arthroplasty Do Not Show Biofilm In Vivo. American Academy of Orthopaedic Surgery Podium Presentation (AAOS) 2012 Annual Meeting, San Fransisco, CA. Yang S, Jones-Quaidoo S, Eager M, Griffin JW, Reddi V, Novicoff WM, Shilt J, Bersusky E, Defino H, OuelletJ , Arlet V. Right adolescent idiopathic thoracic curve (Lenke 1 A and B): Does cost of instrumentation and implant density improve radiographic and cosmetic parameters? Study from SCOLISOFT study group. National Association of Spine Surgeons (NASS) Podium Presentation 2011. Orlando FL. Scott Yang MD, Sean Jones-Quaidoo MD, Matthew Eager MD, Justin W. Griffin MD, Vasantha Reddi PhD, Wendy Novicoff PhD, Jeffrey Shilt, Ernesto Bersusky ,Helton Defino, Jean Ouellet, Vincent Arlet MD. Title: Right adolescent idiopathic thoracic curve (Lenke 1 A and B): Does cost of instrumentation and implant density improve radiographic and cosmetic parameters? Study from the SCOLISOFT study group. Scoliosis Research Society Podium Presentation 2010 Annual Meeting. Chicago, IL. 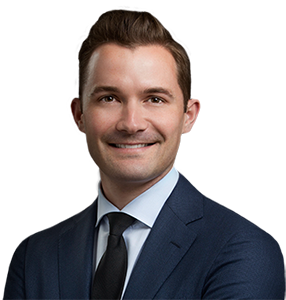 Nicholson G, Griffin JW, Kupfer N, O’Donnell PO, Thorsness R, Virk M. Glenoid Bone Grafting in Reverse Total Shoulder: Graft Size and Position Classification. American Academy of Orthopaedic Surgeons, San Diego, Podium Presentation. Griffin JW, Cvetanovich G, Kim J, Leroux TS, Bach BR, Cole BJ, Nicholson G, Verma NN, Romeo, AA. Biceps Tenodesis is a Viable Option for Management of Biceps Tendinopathy in Patients Less than 25 years of age. American Academy of Orthpaedic Surgeons/American Orthopaedic Society for Sports Medicine Specialty Day (AOSSM). San Diego, Podium Presentation. Frank RM, Lee S, Griffin JW, Cole BJ, Verma NN, Nicholson GP, Romeo AA. Does Prior Shoulder Surgery Negatively Impact Shoulder Arthroplasty Outcomes? AAOS 2017 Annual Meeting. March 15, 2017. San Diego, CA. Podium Presentation. Basques BA, Erickson BJ, Leroux T, Griffin JW, Frank RM, Verma NN, Romeo AA. Outpatient versus Inpatient Total Shoulder Arthroplasty: Analysis of the Medicare Dataset. American Academy of Orthopaedic Surgeons 2017 Annual Meeting: March 14-18, San Diego, CA. Podium Presentation. Leroux T, Basques BA, Frank RM, Griffin JW, Verma NN, Romeo AA. A population-Based Study Comparing Trends in Utilization and Complications Following Open and Arthroscopic Long Head of Biceps Tenodesis. AAOS 2017 Annual Meeting. March 15, 2017. San Diego, CA. Podium Presentation. Leroux T, Basques BA, Frank RM, Griffin JW, Romeo AA, Verma NN. Complication, Reoperation, and Readmission Rates Following Rotator Cuff Repair: A Comparative Study of Open Versus Arthroscopic Rotator Cuff Repair. American Academy of Orthopaedic Surgeons. San Diego, Podium Presentation. 5. Griffin JW, Locker P, Cole BJ. Articular Cartilage Injuries and Adult OCD and Microfracture. Insall & Scott Kelly’s Surgery of the Knee. In Press. 6. DeJour D, Diduch DD, Griffin JW. Deepening Trochleoplasty. In Miller MD, Weisel S. Operative Techniques in Orthopaedic Surgery: Sports Medicine. 2nd Edition. Lippincott Williams and Wilkins. Invited/In Press. 7. Griffin JW. Associate Editor. Sports Medicine Conditions—Return to Play: Recognition, Treatment, and Planning. Miller, MD and Chhabra AB Eds. Lippincott Williams and Wilkins. 2014. Philadelphia, PA.
8. Griffin JW, Hart J, Thompson S, Miller MD. The Basics of Knee Arthroscopy. In Miller, MD and Thompson S Eds. DeLee and Drez. Orthopaedic Sports Medicine. 4th Edition. Elsevier. In Press. 10. Leroux T, Griffin J, Cole B. Treatment of Glenohumeral Chondral Defects. 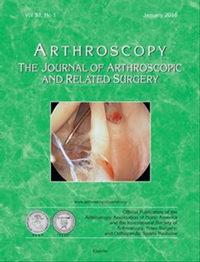 The Atlas of Advanced Shoulder Arthroscopy. Editors: Imhoff, A., Ticker, J., Mazzocca, A., Voss, A. 15. Griffin JW, Locker P, Cole BJ. Articular Cartilage Injuries and Adult OCD and Microfracture. Insall & Scott Kelly’s Surgery of the Knee. Accepted In Press for 6th edition. 16. DeJour D, Diduch DD, Griffin JW. Deepening Trochleoplasty. 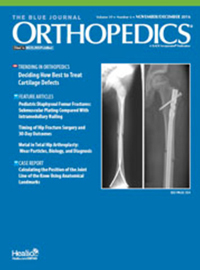 In Miller MD, Weisel S. Operative Techniques in Orthopaedic Surgery: Sports Medicine. 2nd Edition. Lippincott Williams and Wilkins. 17. Griffin JW. Associate Editor. Sports Medicine Conditions—Return to Play: Recognition, Treatment, and Planning. Miller, MD and Chhabra AB Eds. Lippincott Williams and Wilkins. 2014. Philadelphia, PA.
18. Griffin JW, Hart J, Thompson S, Miller MD. The Basics of Knee Arthroscopy. In Miller, MD and Thompson S Eds. DeLee and Drez. Orthopaedic Sports Medicine. 4th Edition. Elsevier.